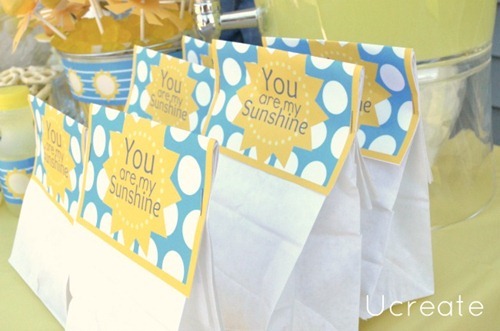 I’m thrilled to show you this Sunshine Party Danielle and I created for my 6 yr old daughter! 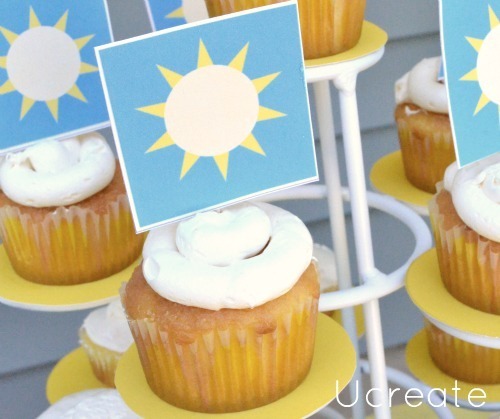 Perfect theme for a summer birthday party. 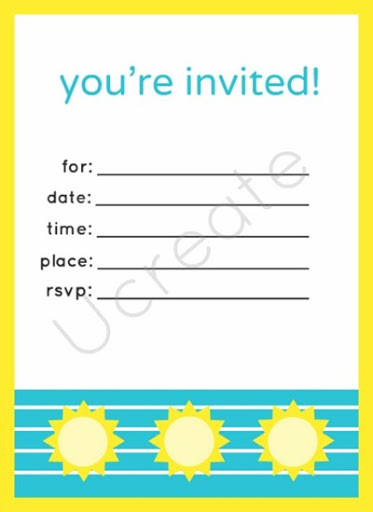 I created this bright, colorful free printable set including: cupcake toppers, bag toppers, water bottle labels, and more! 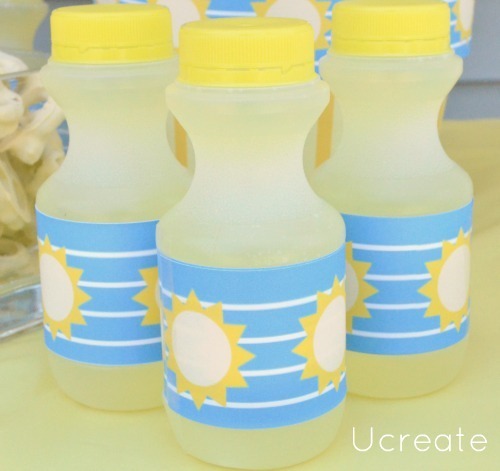 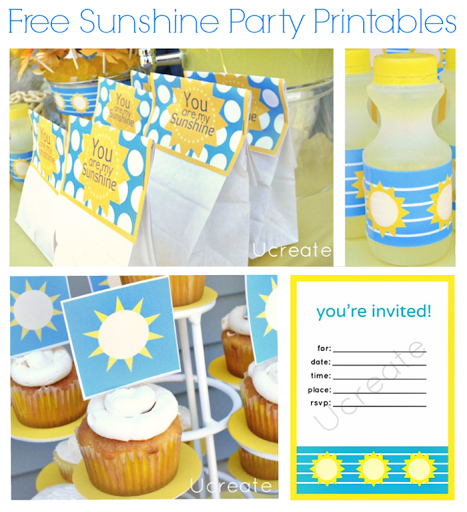 Have a fun summer party with these printables and make sure to check out the other sunshine party details this week!